Wrestling has always been a prominent sport since ancient Greece and was the main sport for men but you would agree with us that this sport became more interesting when it was spiced up with gorgeous ladies as the likes of Sasha Banks. Banks is a three-time WWE Women Champion and a former NXT Women Champion who, even though came from a very humble background, has been able to earn her fame through hard work in her professional career. She is nicknamed The Legit Boss because she has unique ring skills that have helped both in and out of the ring to prove that she is one of the top performers of her time. Let’s find out more about one of the Four Horsewomen, Mercedes Kaestner-Varnado aka Sasha Banks. Sasha was born on January 26, 1992. She is of mixed ethnicity – German and African-African. The American professional wrestler, signed to World Wrestling Entertainment on the Raw brand, was born in Fairfield, California and raised by her mother. She did not have the usual classroom education, instead, she had her education online as she moved to different places with her mother who was searching for a suitable school and health care for her younger brother. Sasha’s love for wrestling was sparked by the TV wrestling program she saw when she was young. At the age of ten, she boldly informed her mother of her decision to join the sport. To prove how serious she was, she tried to enrol at various wrestling schools but was not accepted because she was still too tender. When she turned 17 years of age, a wrestling camp in Boston accepted her as its only female participant. After much training in wrestling schools, Sasha made her debut in 2000, at Chaotic Wrestling Championship for women. Then, she was operating under the ring name Mercedes KV. That same year, she had her first single match which she lost. 2011 was quite hopeful for the young wrestler, she earned her first victory when her team won a tag team match and she earned her first Chaotic Wrestling Women’s Championship after defeating Alexxis (Alisha Maher) in an “I Quit” match. The same year, she took her first successful title defence. Sasha began to build her fame in 2012 after she was signed to WWE’s NKT brand in August. The NKT is a feeder team for the WWE’s bigger brands such as Raw and Smackdown. There, she joined in several matches, winning and losing until in 2016 when her hard work eventually paid off – she was signed to WWE Raw. Sasha Banks joined the WWE Raw on 25th July 2016, made her first appearance in the same month and won her first WWE Women’s Championship. She made a repeat of the feat three more consecutive times – October 2016, November 2016, and August 2017. In January 2018, Banks joined the first women’s Royal Rumble match, eliminating three people while she was eliminated once. In February of the same year, she joined the women’s Elimination Chamber Match. Though she was eliminated in the match, she also fought in the first women’s Hell in a Cell Match. Now known as The Legit Boss, Sasha earns an annual salary of about $225000 and has an estimated net worth of $3 million. Mercedes Kaestner-Varnado is a daughter to Judith Varnado. Her father left them when she was just two years old hence, her mother single-handedly took care of her and her autistic brother. Her father belonged to German heritage while her mother is half African-American. She gives her success credit to her mother who though was not initially in support of her decision to become a wrestler, but she is now her best cheerleader. She is also a first cousin of the American rapper Snoop Dogg, who has been helpful in her in-ring persona development. 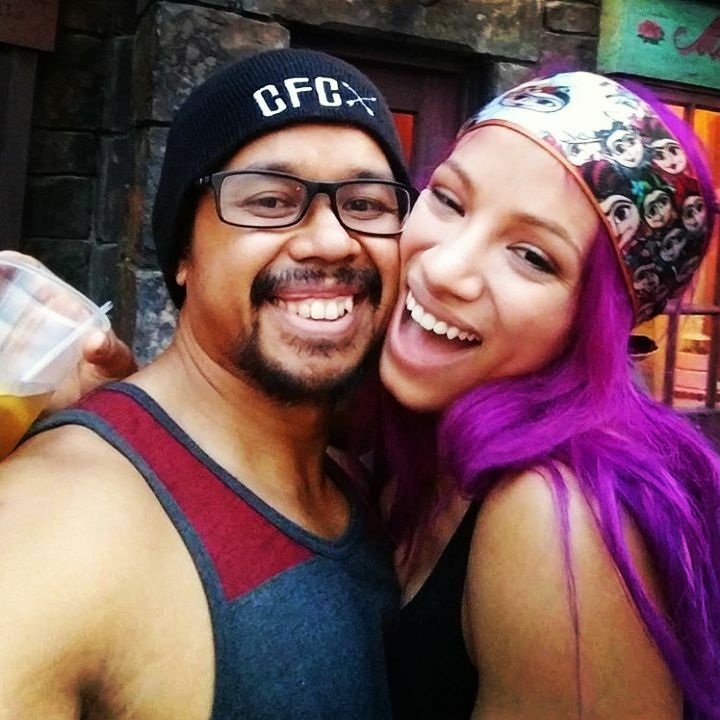 Sasha Banks is not only a success in the ring but she is also a happily married woman. She is married to Sarath Ton, a retired professional wrestler and a WWE costume designer. She met the former wrestler, also known as Kid Mikaze, on the indy wrestling circuit and they officially tied the knot on August 4, 2016. Currently, the couple lives happily together with no children yet and no rumour of separation. Sasha had earlier noted, during an interview, that she had no time for dates and now that she is settled in marriage she appears willing to remain married. The professional wrestler describes herself as a ‘woman of many firsts’ who has and will continue to pave the way for other female wrestlers to follow. Tara Lipinski Married, Husband, Height, Net Worth, Where Is She Now?